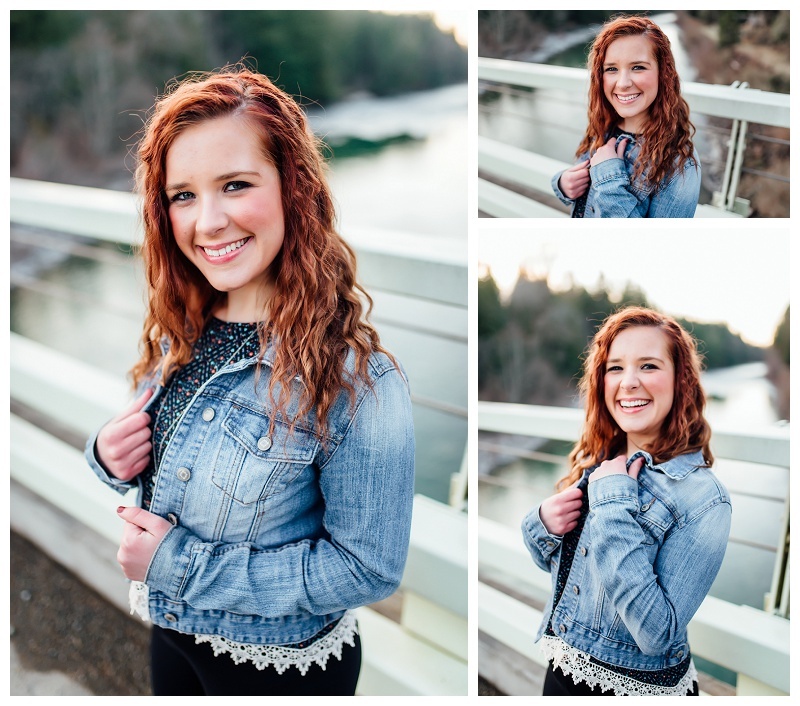 Filled with laughter, and the cutest smile to boot, Kate is my 2017 Key Team Rep from ERHS. In the past year since having her on the team, I've been amazed by all of her accomplishments and her desire to still make it to as many of the Key Team shoots and activities possible. Kate has a job, plays numerous sports, ran for Daffodil princess and is a top student at her school. To say this girl has a bright future is putting it lightly. While still a bit cold this time of year, this beautiful location is always worth the drive. I love the combination of looks we can get, and the gorgeous pacific northwest scenery which includes mountains, trees, a river and iconic red bridge. 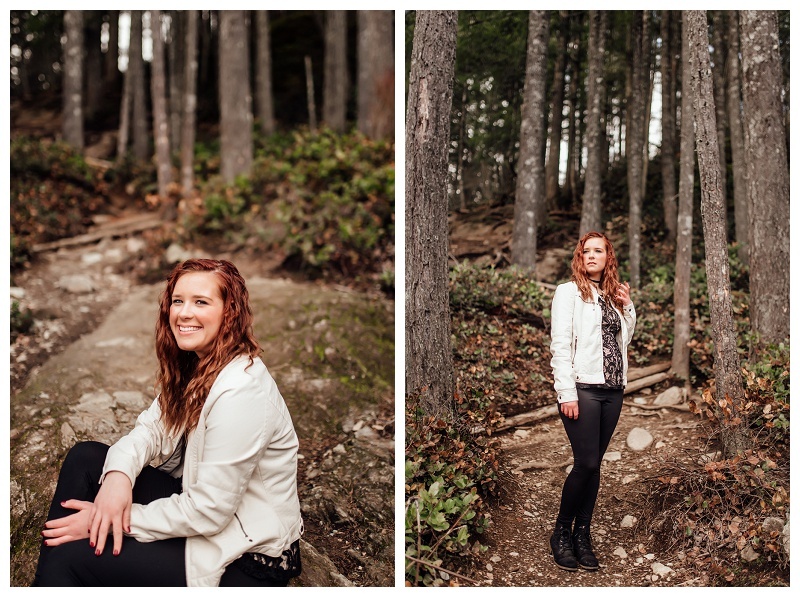 Kate had the cutest outfits to compliment the tones of our natural backdrops. The hike to start the shoot is short, but it certainly steals your breath (unless you're an 18 year old doing sports all year round.. I felt like a sloth in comparison, but I digress!) Once reaching the top, the views are rewarding nonetheless. 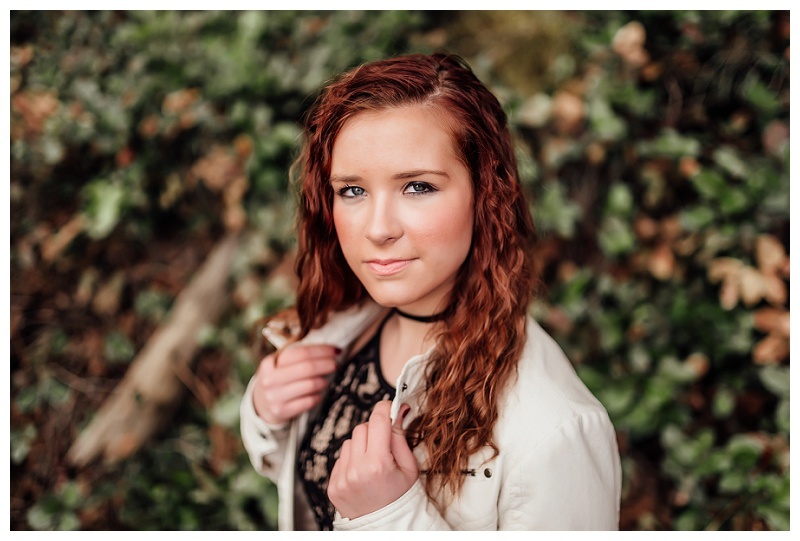 Scroll through to see Kate's beautiful shoot!